1. Sit in a comfortable posture on chair, pillow or bed, no need for cross legged position. 3. Talk/Pray to Swamiji to teach/initiate you in Dhyan meditation. 6. Try not to move your eyeballs or open your eyes. 7. Meditate with Swamiji for 45 minutes when he begins Live Stream Meditation. Afterwards, meditate every day for at least 30 minutes to 1 hour. You may do prayers , worship or chanting before or after meditation. Pranayama may be done for 10-15 minutes prior to meditating. You may record meditation visions and experiences in a a journal. 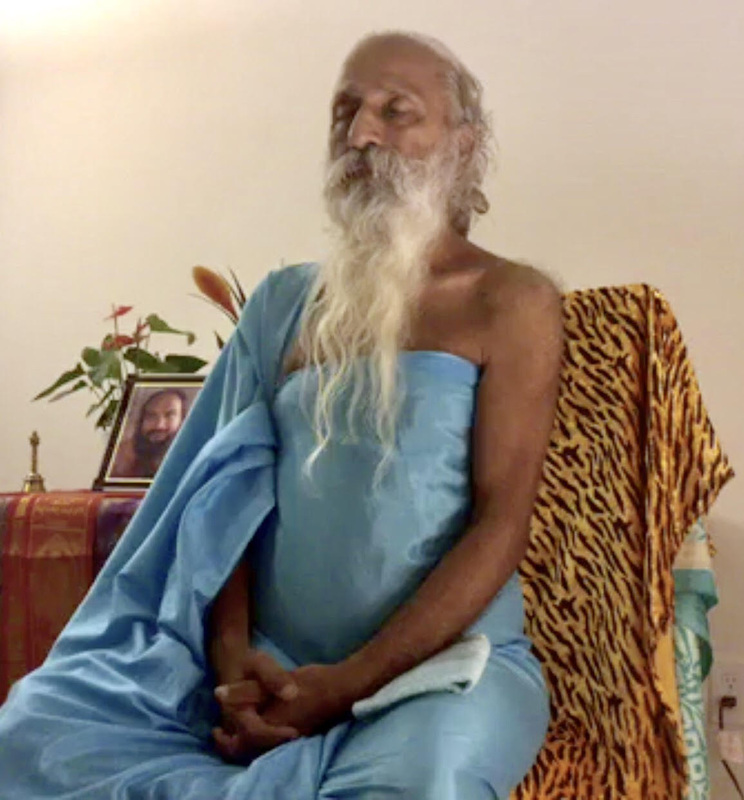 Swamiji's helpful hints for your mediation are on Questions link of this website, meditate-shivabala.org, as is Swamiji's monthly message on Divine Monthly Message link. Please watch some of Swamiji's previously recorded Facebook Livestream Meditations on YouTube by Clicking Here!